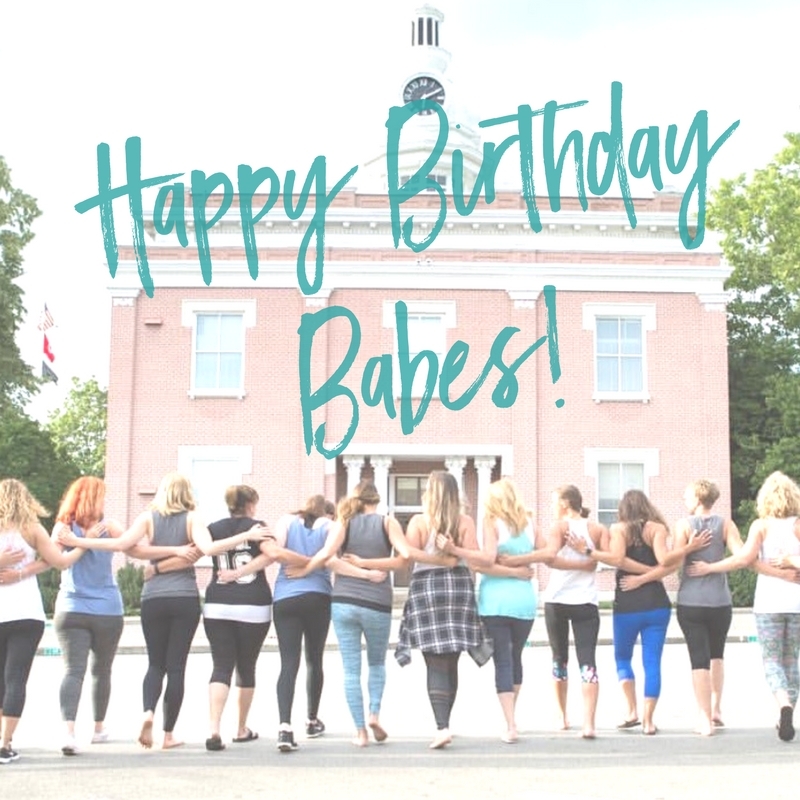 In case you havenâ€™t heard, Garage Barre™ is turning two today. You probably should have heard by now because we are a *little* excited. Weâ€™re so excited not just for the success weâ€™ve had (humble brag much?) but because weâ€™ve gotten to pulse, tone, laugh, cry, and share waaay too much information with some of the best babes around. And since Iâ€™m not a co-owner (this Kelsey coming at ya wassup wassup), I can humbly attest to the fact that Lacey and Kirby are some of the hardest workers out there. You guys donâ€™t know all of the countless hours theyâ€™ve put into behind the scenes stuff and all of the sacrifices theyâ€™ve made. Iâ€™m pretty sure I donâ€™t even know. Plus, the babes that theyâ€™ve brought on to lead— my fellow instructors— are some of the best, hard-working girls to carry their vision. I guess the point Iâ€™m making here is that weâ€™re celebrating today because all of the hard work is yielding to making women truly feel great, and thatâ€™s the greatest present that we could ask for. Again, not going to make any pretense that Iâ€™m large-and-in-charge here, but I think I can speak for Kirby and Lacey when I say that every single hardship is worth it when we get told that one of our babes regained or found their confidence, belongs, or believes that they are enough. Our mission of accepting everyone regardless of budget, leggings, shape, ethnicity, or just all-around look has not strayed far from our hearts. Now it's time for me to brag on you: youâ€™re the reason that this is possible. Youâ€™ve been the first one to introduce yourself to an unfamiliar face, or make that new babe who is taking a giant leap out of her comfort zone to come to a barre class. Youâ€™ve jammed along with us at the barre. Youâ€™ve laughed at our jokes— well, mostly youâ€™ve looked at us, but you let us tell the joke anyways. Probably most importantly, youâ€™ve believed in us. THANK YOU *raises imaginary glass*.